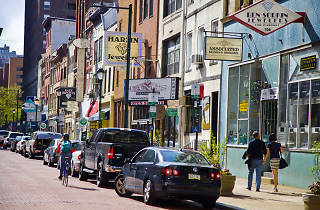 Jewel hounds will find plenty to drool over in this area just north of Washington Square known as Jeweler’s Row. This is the nation’s oldest diamond district—and one of the largest, with around 300 retailers, crafters and wholesalers. 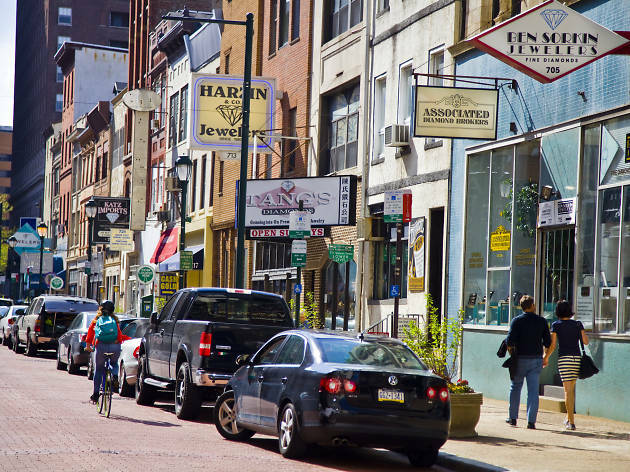 Most stores are concentrated on Sansom Street between 7th and 8th streets, where shoppers will find all kinds of bling to fit any kind of budget. There are a few restaurants and cafes in the area, too, offering a spot to sit and mull over your shiny purchase.